At its most basic level, saving money is about eliminating excess costs and making the most of what you already have. In today’s eco-friendly climate, wastefulness is not only detrimental to a company’s bottom line, but also poses a danger to the limited resources of the environment. Electricity, in addition to being responsible for quite a hefty utility bill, is one of the biggest culprits when it comes to wasteful spending. Many offices show carelessness by allowing their electronic devices and equipment to keep running overnight or throughout the weekend. So it’s best to institute a policy of having a designated office member check if everything is turned off before leaving for the day. Motion sensors can also be very useful as they switch the light off automatically when no one is in the room. And any office that still has old-fashioned light bulbs should definitely exchange them for energy-efficient ones which use up a lot less power and can function for much longer without breaking down. Every office needs to have a comfortable working environment, so it’s essential that you maintain a proper temperature for your employees. Still, this doesn’t mean everything should be running at full capacity all of the time. Connect a thermostat to your heating and cooling devices so that it can automatically shut them down whenever the desired temperature is reached. And be sure to ventilate your working space the natural way whenever possible, by simply opening windows and allowing fresh air to come in. Office materials are little things that can add up quickly. It is estimated, for example, that a normal office uses about 1000 A4 sheets of paper per employee every month. That’s bad for business and bad for the environment, too. So start by asking every employee to use both sides of a paper sheet whenever possible. As always, there’s no need to be overzealous about things, but, by simply making a concerted effort, everyone can contribute to making the office less wasteful. You can even encourage this type of smart thriftiness and reward the offices that save up the most by giving out prizes and company perks. Other office supplies can lead to escalating costs as well, which is why it’s best to buy high quality materials in bulk. A good stapler will last much longer than a poor one, even if the second option might seem cheaper initially. Search for the best prices online and make comparisons between various office supply manufacturers in order to get the best deals. Here are a few more examples of how to save money on office supply. Printing may very well be one of the most important aspects you can master when it comes to cost-cutting in an office setting. The main culprit here is often an ineffective printer that has a high cost per print. Inkjet printers are more affordable than laser ones, but their cost per print is also much higher. Instead of giving every employee a small printer, it’s better to invest in a large one that can fulfill the needs of the entire office and that also has a small cost per print. Canon printers are well renowned for their durability and the longevity of their toners. Still, you can expect costs of about $30 to $40 per toner cartridge, according to Inkstation. One toner cartridge should be enough to cover several thousand sheets of paper, but it can be over sooner than you’d think. In order to reduce print costs, make sure you always preview documents before printing them out and encourage your employees to do the same. 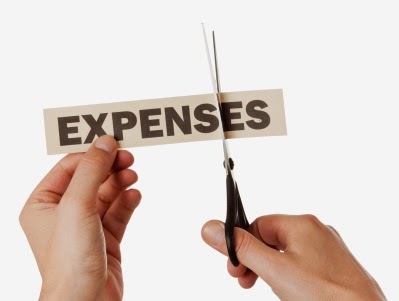 Running an office will incur significant expenses no matter what. But, as you can see, there are plenty of cost-cutting measures that work well without having a negative impact on the office’s working environment. The money you save this way can be then used for bigger and better things, such as funding an employee team-building trip or pursuing other investment opportunities.